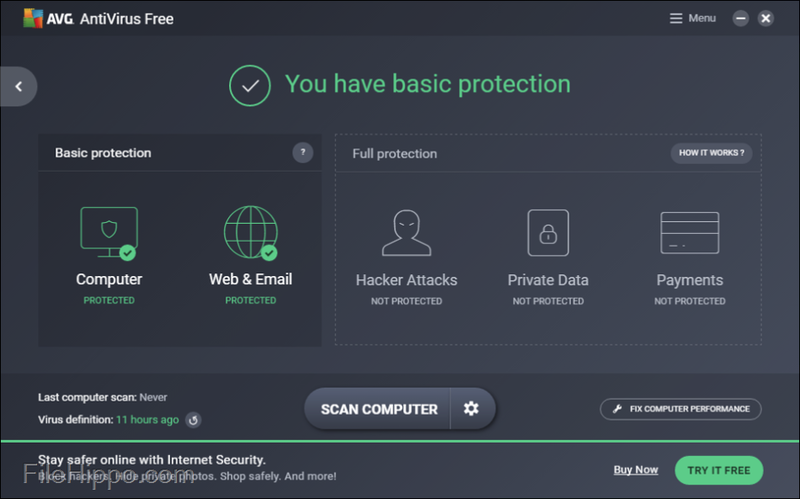 AVG AntiVirus FREE is able to block infected links as you browse, checks files before you download them, and help you protect your personal data online and on your PC with an solid set of privacy features. AVG AntiVirus FREE has a fresh, clean design with an intuitive feel to it. It does not come with a solid firewall, however, as this is included in the more advanced suite, AVG Internet Security–Unlimited. The great thing about AVG AntiVirus FREE is that whenever the suite encounters an unknown threat, AVG then quickly analyze it, creates a cure and then pushes it out to millions of users, so everyone is better protected. All security updates are automatically pushed to you, along with any new features, to always keep you as up-to-date as possible. Overall, AVG AntiVirus FREE has a low impact on system resources, it has an intuitive feel to it and it is easy to use with a simplified design. This coupled with free online support, and a robust cloud-based threat detection method, makes AVG AntiVirus FREE a good overall security suite to have installed on your system. If you are looking for a simple antivirus, which packs a powerful punch and won’t slow you down your system, then you can’t go far wrong with AVG AntiVirus FREE.